Description Compliments of Superior School Photo Service 6869 Woodlawn Ave. N.E. Seattle, Wash. 98115 on cover. 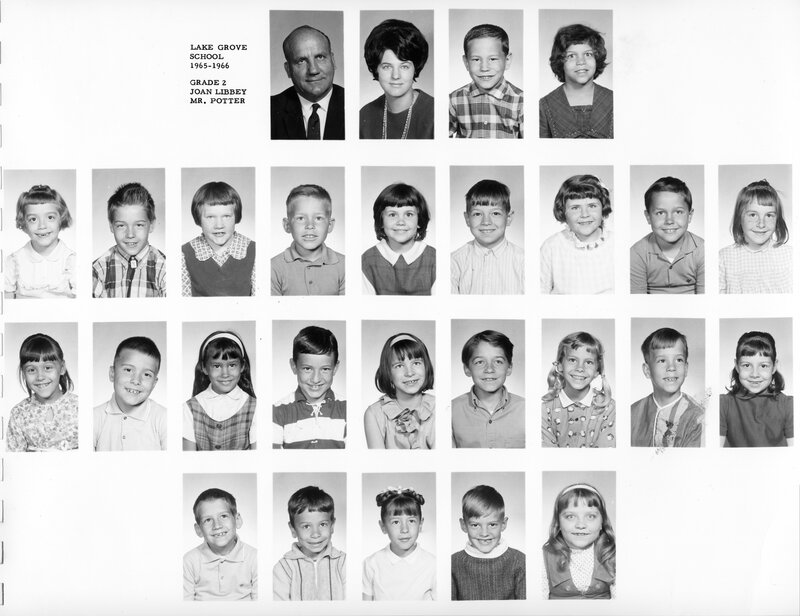 Lake Grove 1965-1966 Grade 2 Joan Libbey Mr. Potter. Dried material on photo of boy 2nd from right on 3rd row.